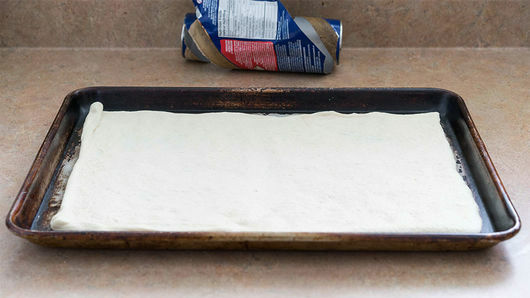 On cookie sheet, unroll 1 can Pillsbury™ refrigerated classic pizza crust; press out to make 14x9-inch rectangle. Bake 8 minutes. Meanwhile, in small bowl, stir together 1 cup ricotta cheese, 2 cups of the Italian 4-cheese blend, 1 slightly beaten egg, and salt and pepper to taste. Spread mixture evenly over partially baked pizza crust. 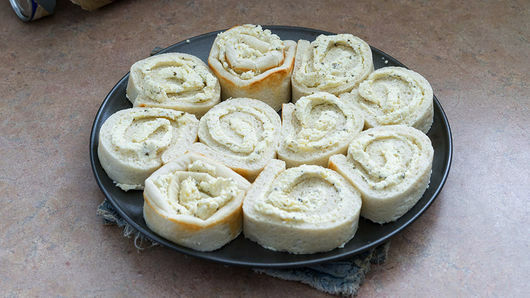 Starting with one short side, roll up dough being careful to not squeeze too hard or filling might ooze out. 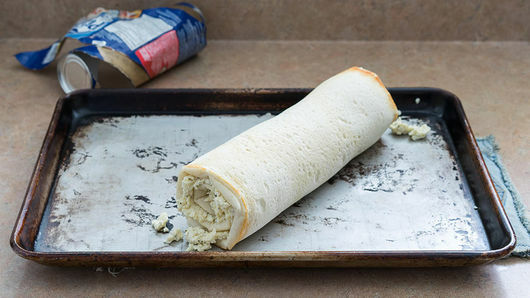 Use serrated knife to cut roll into 1-inch slices; place cut side down on ungreased 12-inch pizza pan. 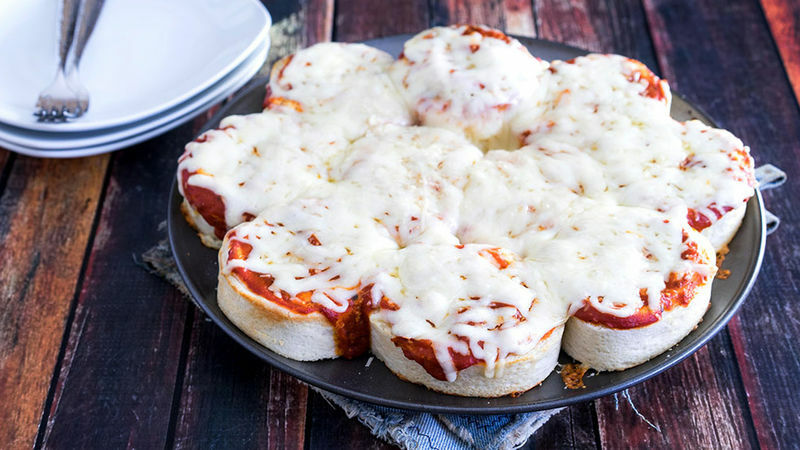 Spread 1/2 cup pizza sauce over tops of slices. Top with remaining 1 1/2 cups Italian 4-cheese blend. 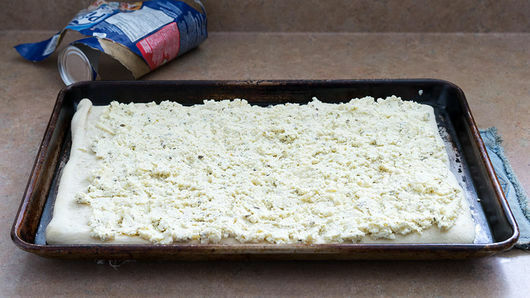 Return to oven; bake 10 to 12 minutes longer or until cheese is melted and bubbly. Serve immediately. Add a tablespoon of prepared basil pesto to the ricotta filling for an extra punch of Italian flavor! 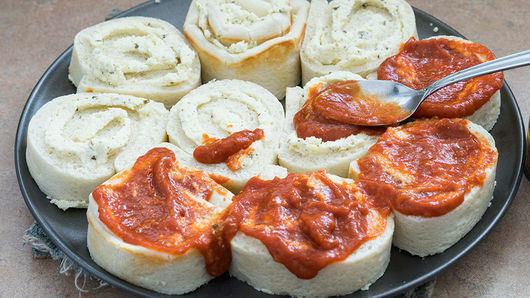 Try adding traditional pizza toppings to the lasagna roll-ups, like pepperoni or sliced black olives.